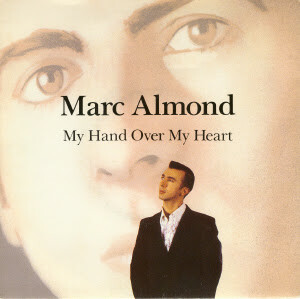 ''...I fall to my knees at your beauty...'' says Marc Almond in this masterpiece. Re-discovered after long time and a finger of dust over it, I couldn't resist not to crossover it. Song was published on Marc's 1991 LP ''Tenement Symphony'' as well as on 7'', 12'' and Maxi-Single CD. For this remix I used original album version and Grit and Glitter Mix available on maxis. Result is 10:07 long Crossover mix. What more to say but...enjoy. I have downloaded your mixes so far and have really enjoyed them, particularly the Human League (I'm a big HL fan). Found your site thanks to 'Dreamtime'. Thanks and best regards, Gareth. hi there.i found your site thru dreamtime's links.great mixes man and thanks..btw tried to download marc almond's 'my hand over my heart' but had an error the file's not available.hope you can repost this again.cheers!